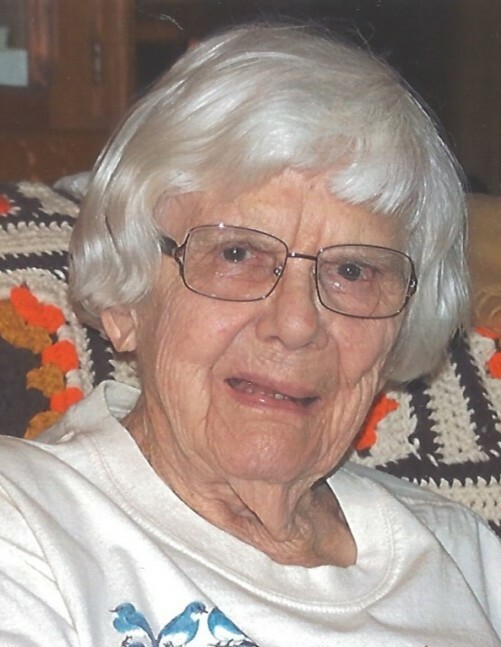 Doris L. Ashton, 98, of Chatham passed away at St. John’s Hospital, Friday, May 18, 2018, 20 days before her 99th birthday. She was born June 7, 1919 northwest of Auburn, the daughter of Charles and Beatrix Adams Lanham. She married Russell Ashton on Feb. 1, 1958 and he preceded her in death on May 14, 1983. Also, preceded in death by a son, Mark Ashton and a sister, Dorothy Fischer. Doris did secretarial work in Springfield including WTAX radio during WWII and later for various insurance companies. She was a very proud member of the Daughters of Union Veterans as her own actual grandfather fought in the Civil War. She was member of the Chatham Presbyterian Church. Doris delighted in observing nature. Surviving are her daughter, Lynette (Phil Fahs) Ashton; granddaughter, Sarah (Joe) Helt; three great-grandchildren. Visitation will be form 10 a.m. till time of services at 11 a.m., Friday, May 25, 2018 at Bramley Funeral Home, Auburn with Rev. Dr. James A. Reitz officiating. Burial will be in Chatham Memorial Cemetery. Memorials may be made to Chatham Fire Protection District.